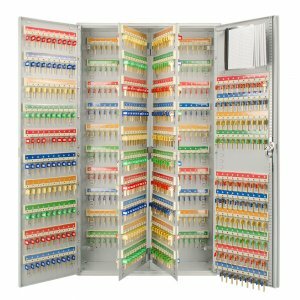 The 160 Position Key Lock Box from Barska features numbered hooked key tags with slots that make key organization easy and convenient. 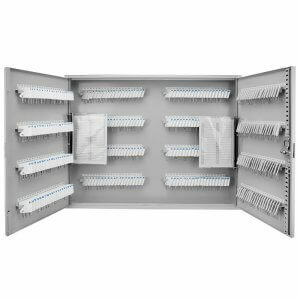 Inside the cabinet are four rows of numbered hooks, each of which is easy to access and keep track of thanks to the included key index. 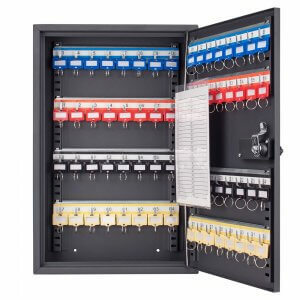 The two-sided indexing chart has ample room to document the keys hook position corresponding lock, and a drop-in plastic sleeve tethered to the hinge inside the safe provides a hands-free reference.The safe has four pre-drilled mounting holes and included hardware for installation.The safe walls and door are constructed of 0.8mm solid steel and finished with a gray coating. 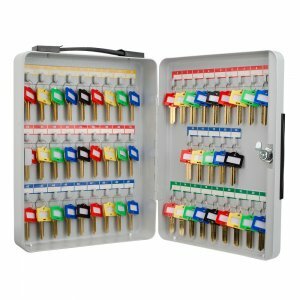 Question: Can this cabinet hold more than 160 keys? 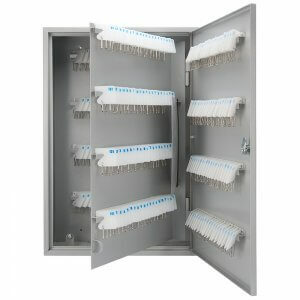 Answer: Yes, this key cabinet has 160 hooks, but each hook can hold multiple keys depending on the size and configuration. 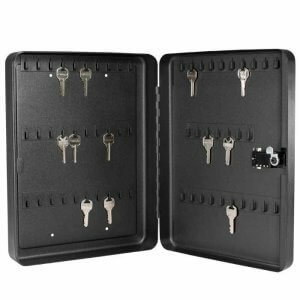 Keep keys organized and secure in this multi key lock box from Barska. 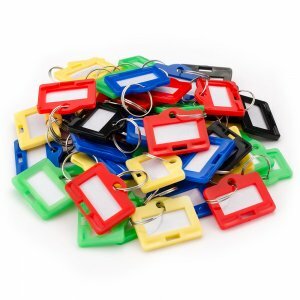 Hooked key tags allow you to hang individual keys or multiple keys with the included key tags. 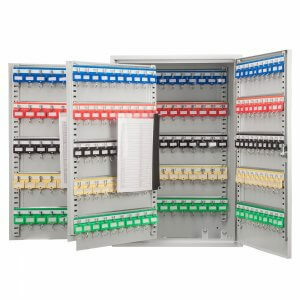 Pre-drilled holes and mounting hardware included for easy installation. 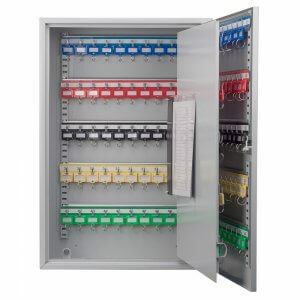 Ideal for home, office, apartment complexes, rental management companies, car lots, body shops, and many more. 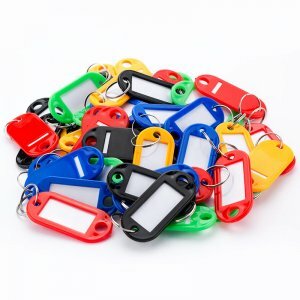 Backed by Barskas 1 Year Limited Warranty.